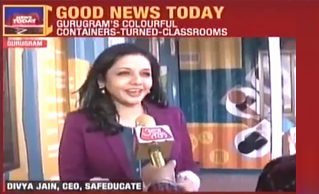 Ms Divya Jain, CEO, Safeducate in an interview with India Today, emphasized on the objective of imparting soft skills training and education to the underprivileged youth of India through container schools. 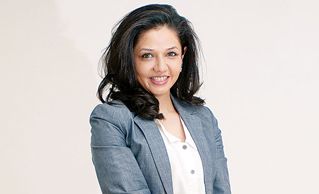 Take risks, choose a path that you care about and are passionate about', says Ms Divya Jain, CEO, Safeducate in talks with the India Today Woman magazine. 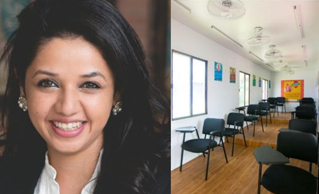 Ms Divya Jain, CEO, Safeducate shares with Business World how Safeducate centres across India focus on promoting livelihood creation by skilling the youth with industry relevant programmes, workshops and courses. 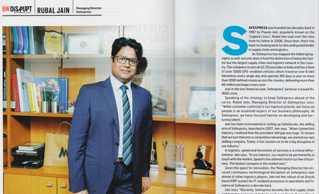 India Today featured Ms Divya Jain, CEO, Safeducate highlighting and appreciating the transformation she has brought in the skill development industry of India. 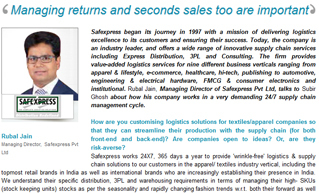 In talks with Your Story, Mr Kapil Mahajan, CIO, Safexpress explained how technology driven advancements have contributed towards efficient operations and increased employee productivity. 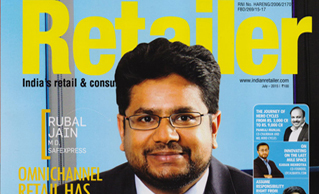 Mr Kapil Mahajan, CIO, Safexpress shared his insights on the latest technology trends and digitization in the Mega Conclave, Workplace 2025 organized by Job Buzz. 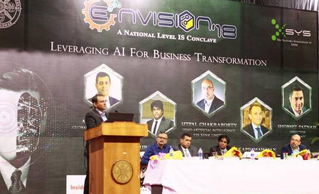 Mr Kapil Mahajan, CIO, Safexpress explained the role of Artificial Intelligence (AI) in propelling the growth of business ventures while addressing Envision 2018, the XIMB’s annual business conclave. 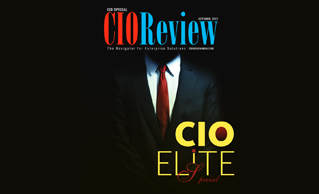 In an interview with The Hans, Ms Divya Jain, CEO, Safeducate shared her thoughts on how Safeducate evolved with existing challenges in the industry and their future to train a million people over the next 10 years. 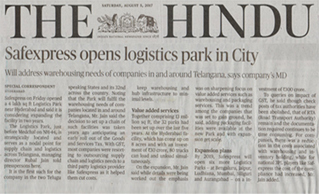 The launch of Safexpress’ 35th state-of-the-art logistics park at Bengaluru was covered by some of the esteemed newspapers of India. 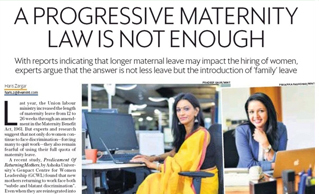 Ms Divya Jain, CEO, Safeducate expressed her views on the recent amendment in the Maternity Benefit Act 1961, suggesting how mothers can balance their workplace responsibilities as well as childcare. 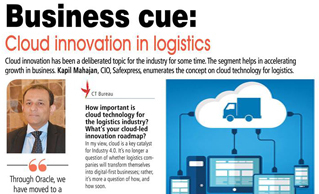 In an interview with Cargo Talk, Mr Kapil Mahajan, CIO, Safexpress shared his views on how innovation in cloud technology is accelerating business growth. 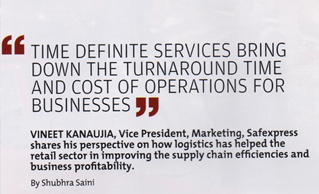 In an interaction with, Analytics India Magazine, Mr Kapil Mahajan, CIO Safexpress, elaborated on how data analytics and cloud platforms have made delivery operations more efficient and substantial at Safexpress. 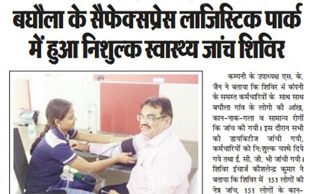 Safexpress in collaboration with Mahavir International, Delhi, organized a free health check-up camp for its employees in the Faridabad Logistics Park. 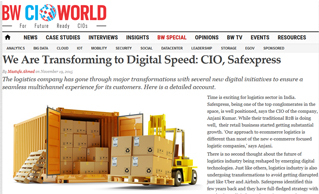 In an exclusive interview with CIO India, Mr Kapil Mahajan, CIO, Safexpress highlights how IoT and analytics have sped up delivery operations. 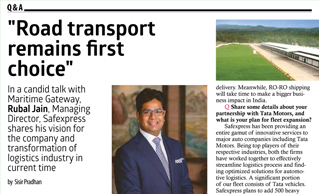 Mr Rubal Jain, MD, Safexpress expressed his views on the recent transformations in the logistics industry in a candid talk with Maritime Gateway. 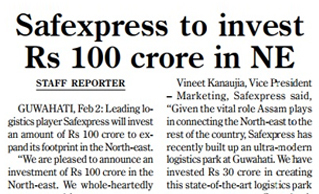 Safexpress is pleased to announce an investment of Rs.100 Crore in the North East, in line with Prime Minister Narendra Modi’s initiative to boost investment in the region. 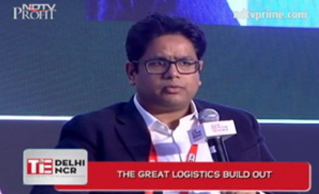 Mr Rubal Jain shared his views on the latest trends of the logistics and supply chain industry in an interview with NDTV during the TiEcon Delhi-NCR. 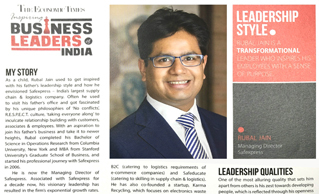 Mr Kapil Mahajan, CIO, Safexpress talks about the key traits that define the transformational CIOs amidst the expectations from them to enable technology as a strategic tool for driving unparalleled success for their companies, in an interview with The Economic Times. 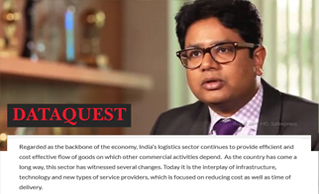 Regarded as the backbone of the economy, India’s logistics sector continues to provide efficient and cost effective flow of goods on which other commercial activities depend. 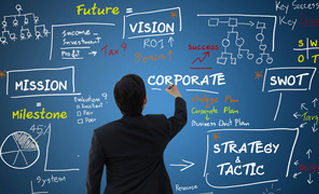 As the country has come a long way, this sector has witnessed several changes. 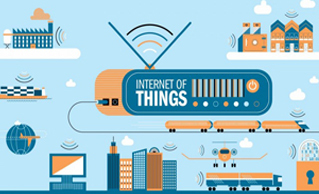 Today it is the interplay of infrastructure, technology and new types of service providers, which is focused on reducing cost as well as time of delivery. 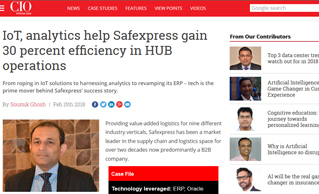 Mr Kapil Mahajan, CIO, Safexpress, shares how Safexpress’ digital journey has enabled the company to deliver the logistics excellence to its customers, paving its way to become a market leader in supply chain management and logistics industry in India. 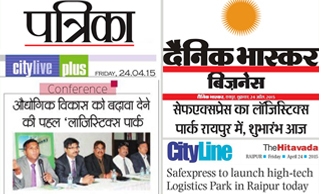 Launch of Safexpress’ 32nd state-of-the-art logistics park featured in the renowned newspapers of India. 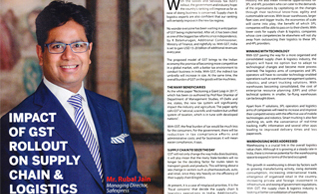 Get insights on ‘GST's impact on Supply Chain & Logistics’ in an article by Mr. Rubal Jain, MD, Safexpress, published in Business World magazine. 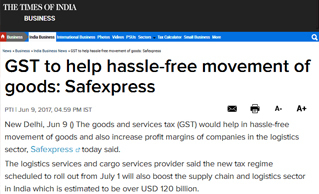 Mr. Rubal Jain, MD, Safexpress has been featured in an exclusive story on GST in the leading business magazine, Business India. 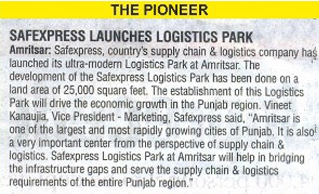 Launch of Safexpress' 31st state-of-the-art Logistics Park at Amritsar, Punjab as covered by the leading media houses. 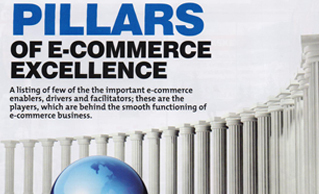 Safexpress has been conferred with the title of Iconic Brand by Economic Times. 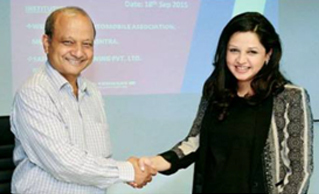 This honor was bestowed upon Brand Safexpress in a grand ceremony at Hotel Taj Santacruz in Mumbai. 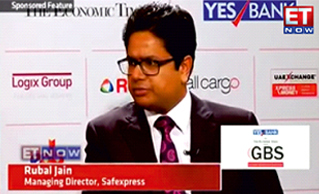 Mr. Rubal Jain, MD, Safexpress talks to ET Now on 'Ease of Doing Business in India'. 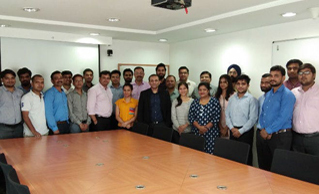 Hon'ble Union Minister of State, Skill Development & Entrepreneurship, Shri Rajiv Pratap Rudy lately launched Safeducate program - 'Recognition of Prior Learning' under Pradhan Mantri Kaushal Vikas Yojana at Safexpress Logistics Park - NCR. 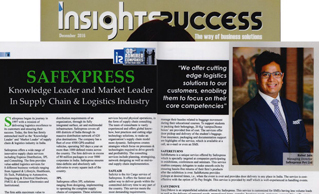 Exclusive coverage of Mr. Rubal Jain-MD, Safexpress in the latest issue of Insight Success Magazine talks about �How Safexpress is delivering Logistics Excellence to its customers�. 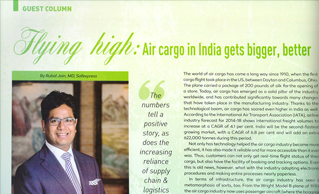 Mr. Rubal Jain - MD, Safexpress talks about how Safexpress is supporting air cargo logistics through its presence at all 54 cargo airports in India, in a recent feature covered in Cargo Connect�s special issue, India Air Cargo Handbook. 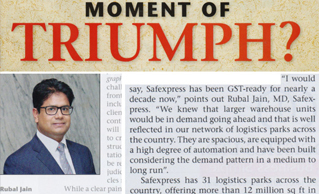 Rubal Jain, MD, Safexpress was commended by The Economic Times as one of the Inspiring Business Leaders of 2016, for turning the improbable into the inevitable by sheer force of will. 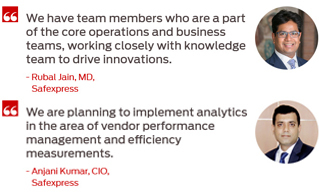 These leaders make a difference everyday and have made stellar contribution to their respective fields. 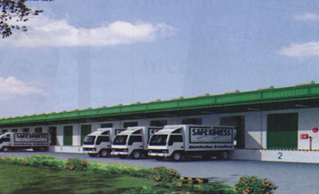 Safexpress, as a warehousing major, has 29 ultra-modern Logistics Parks, strategically located to cater warehousing needs of all realms of the Indian market. 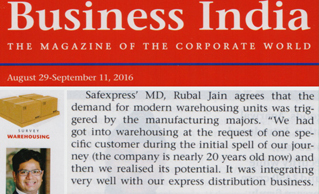 The latest edition of Business India magazine has highlighted Safexpress' warehousing presence PAN-India. 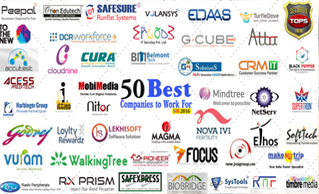 Safexress was acknowledged by The Silicon Review, 2016 for 50 Best Companies to Work for. 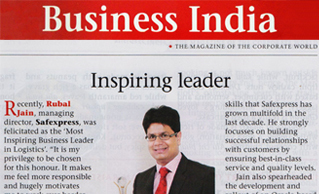 Business India Magazine highlighted recent achievement of Rubal Jain, Managing Director, Safexpress, for being awarded as 'Most Inspiring Business Leader in Logistics Industry of India' by ET Edge, an initiative of The Economic Times. 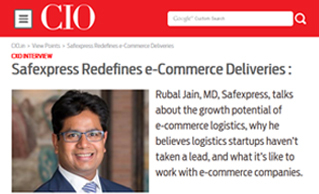 With IT playing a vital role in driving innovation and cutting edge initiatives, Rubal Jain, MD and Anjani Kumar, CIO, Safexpress elaborate how the future is shaping up in the logistics industry. 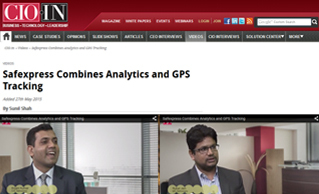 The editorial inks how an IoT empowered Safexpress ramping up its productivity. 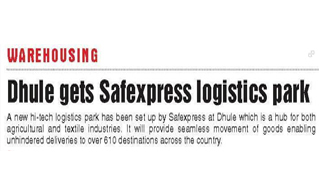 Recently launched Safexpress Logistics Park at Raipur, spanning over an area of 20,000 sq. 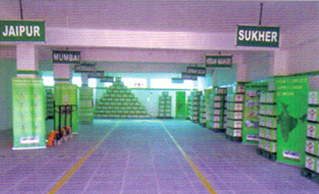 ft., is all equipped with ultra-modern features to cater to the logistics requirements of the region. 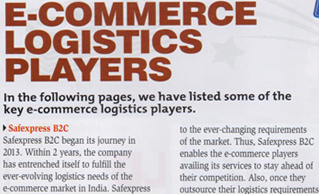 Safexpress is all set to revolutionize warehousing in India through its ultra-modern logistics parks including the recently launched facilities at Jammu, Udaipur, Faridabad and Dhule�as featured in Cargo Talk - April�15 issue. 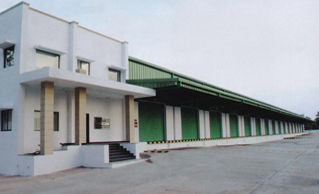 The huge Safexpress logistics park at Dhule offers a range of ultra modern facilities and seamless connectivity to all other major locations in India. 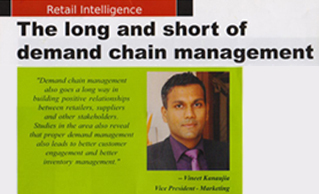 Read more in the following article as covered by Cargo Talk, April 2015 issue. 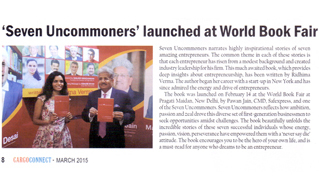 The inspiring story of Mr. Pawan Jain, CMD Safexpress, the doyen of Indian logistics in the must-read "The Seven Uncommoners" by Riddhima Jain, recently launched at the World Book Fair covered by Cargo Connect, March 2015 issue. 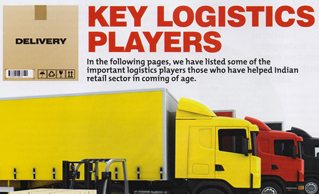 Check out the ultra modern features of the recently launched Safexpress Faridabad hub as covered by Infra Log magazine, Jan - Feb 2015 edition. Copyright 2017 Safexpress Pvt. Ltd.